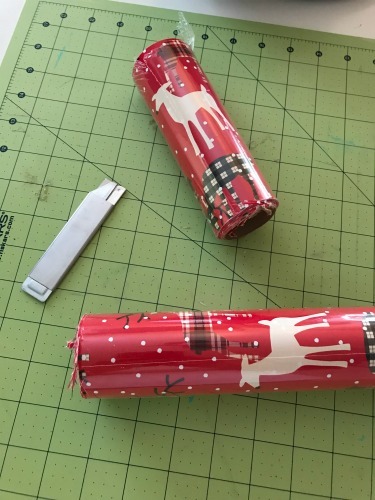 Tired of spending time hunting down tape and scissors or re-buying gift wrapping supplies because you can’t remember where you put them or they get damaged while being stored? 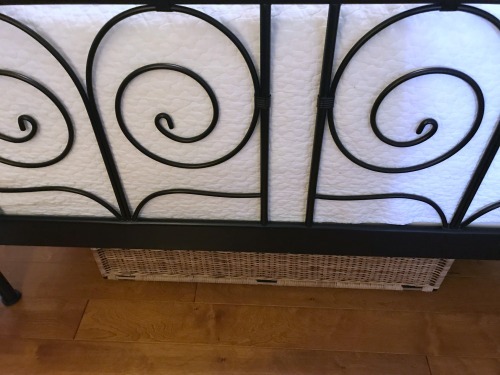 Have you tried buying a gift wrap holder only to discover it doesn’t fit your needs? 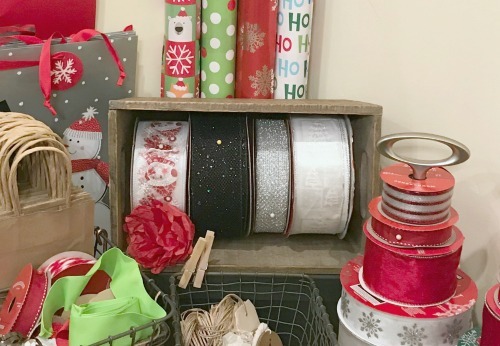 Create a gift wrapping station in your home and save your sanity (and your wallet)! The key to a successful gift wrapping station is customizing to fit your needs! 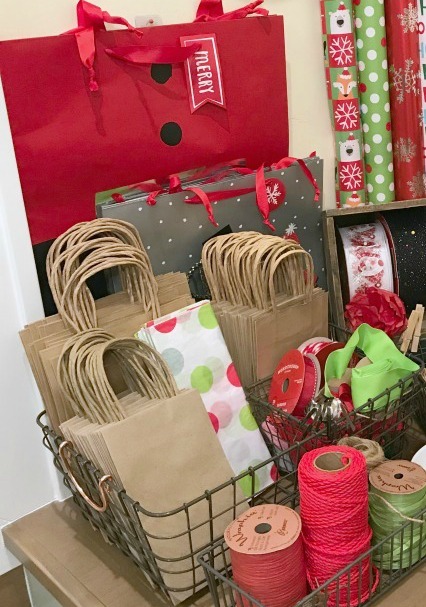 Use these gift wrapping station hacks to inspire you to get creative with this fun and simple project! 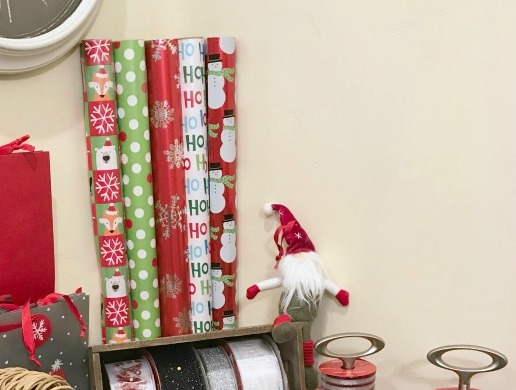 Whether you have a large home with lots of storage or a cozy apartment, everyone gives gifts and EVERYONE can find a space for a gift wrapping station! 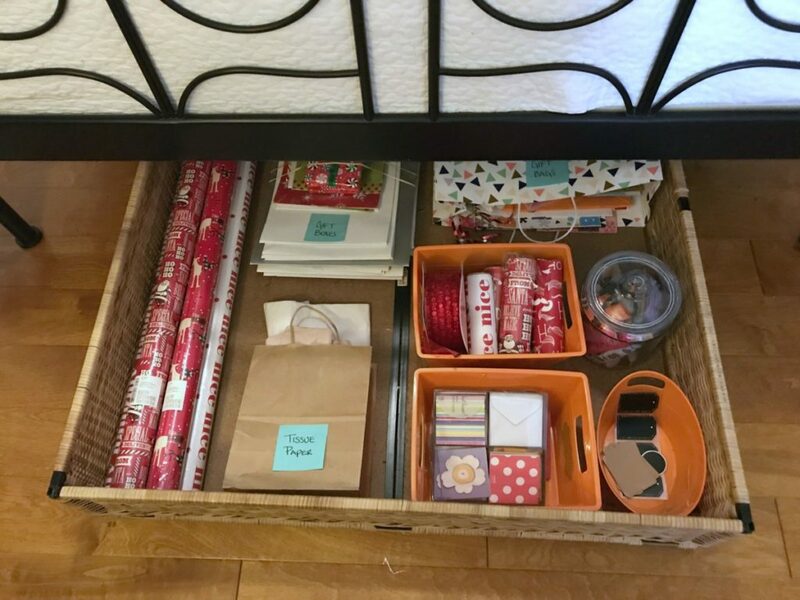 Ditch the pre-sized plastic wrapping paper bins and do what works for YOU! 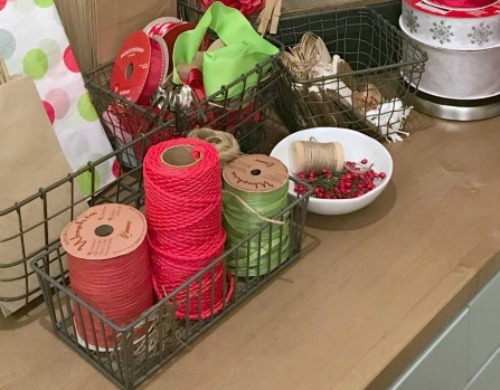 This client has a craft room with a corner dedicated to gift wrapping! The paper, bags, and ribbon are changed out seasonally. 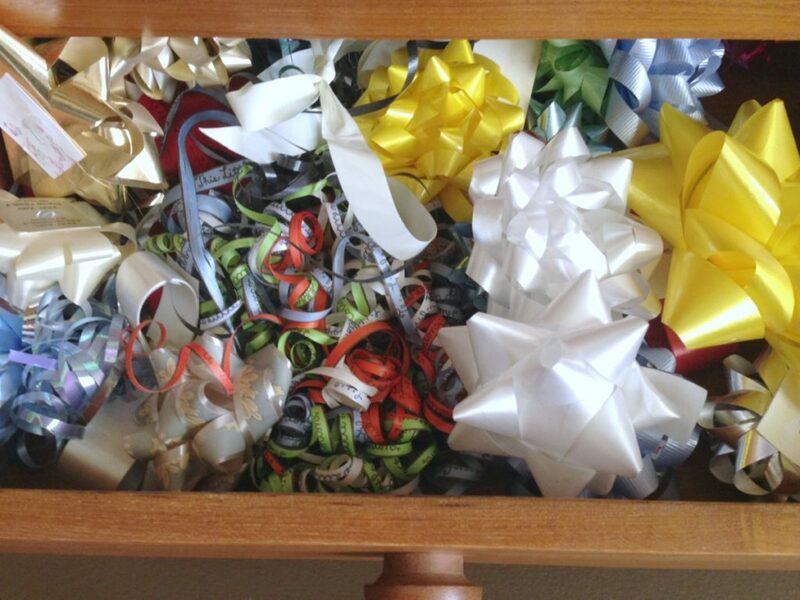 An unoccupied dresser in a spare room works great for holding gift wrapping supplies! 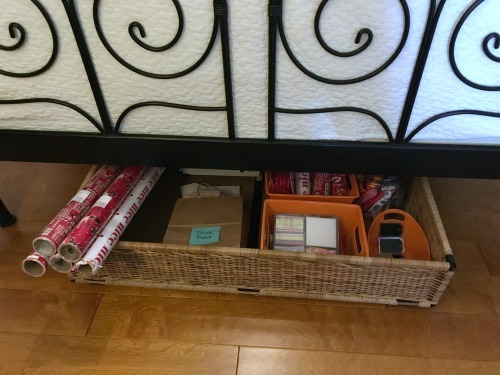 An under bed bin or basket works beautifully! Have you invested in a large plastic container specifically designed for gift wrap, only to discover that rolls come in all shapes and sizes?! 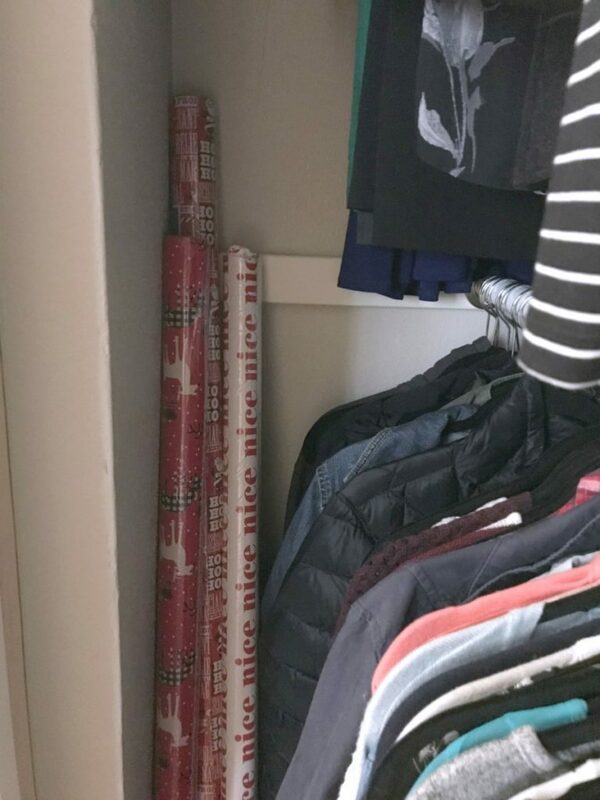 The wrapping paper conundrum often leads to frustration, crinkled paper, and ultimately storing wrapping paper separately from other gift wrap supplies. 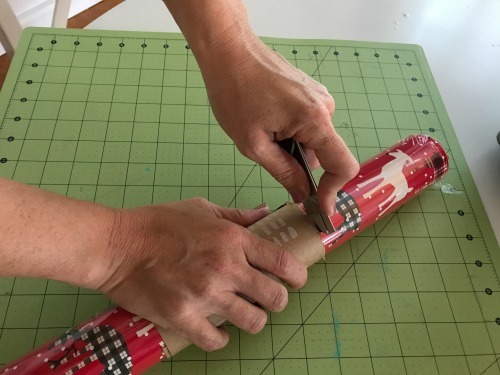 Use these hacks to solve the gift wrap problem! Cut rolls down to fit within your storage space! Buy a wrapping paper set so they are uniform in size and coordinate in color! Bows, ribbons, gift tags…these trimmings seem to take on a life of their own and find their way into every room of the home. With some thoughtful solutions, you can trap these trimmings so they’re right where you need them! Use paper towels holders and pins for ribbons! A wooden box or a basket can serve as a ribbon dispenser. 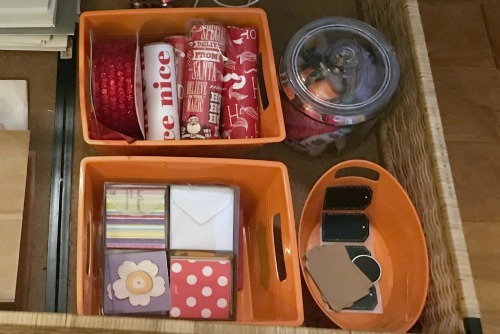 Contain cards and labels using smaller bins. Blank cards that can be used for every occasion ensures you never have to hunt for the “perfect” card. 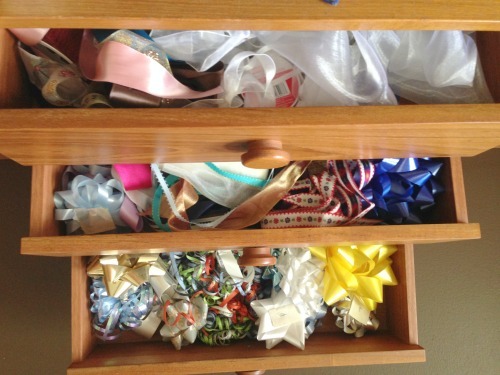 A dresser drawer makes a perfect home for bows! Easy access, all in one place, and they won’t get squished! 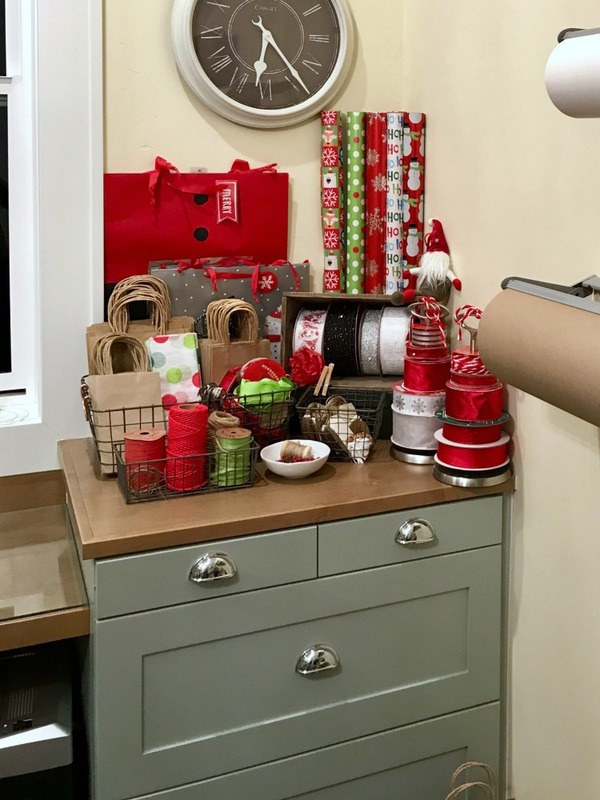 Instead of donating an old dresser, repurpose it for a gift wrapping center! Use simple bags and change the tissue paper for different occasions. This ensures that you have wrapping for ANY occasion and uniform sizes makes storing easier! For bags of different sizes, put in a larger used bag to keep them together and easily accessible. 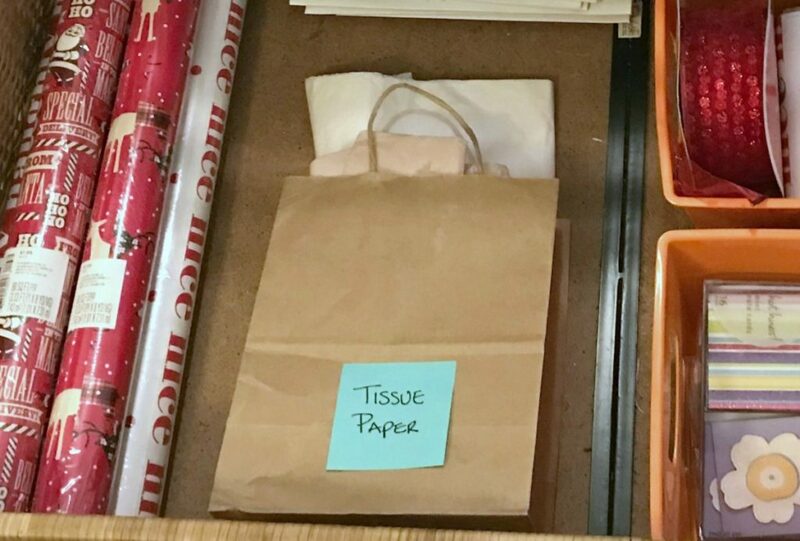 Keep your tissue paper looking neat and in one place by dedicating a flat space like a drawer or bin. 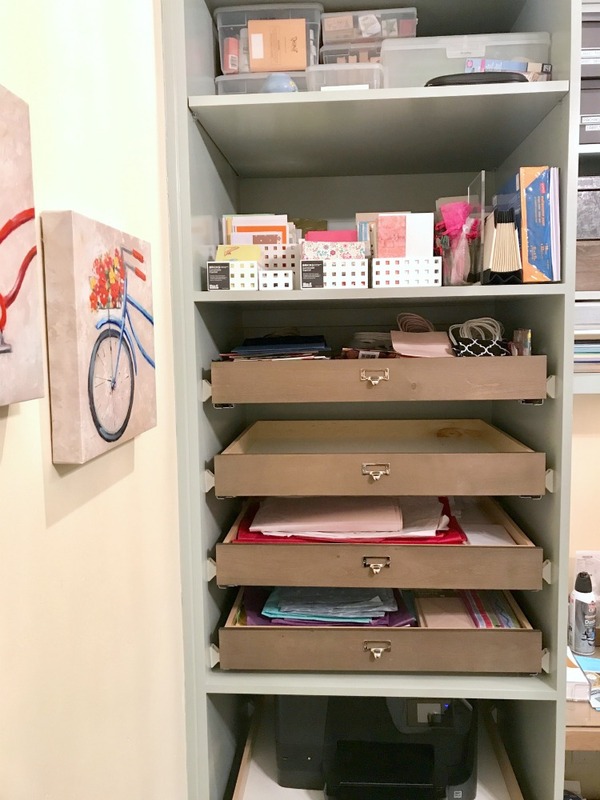 In this craft room, drawers are a perfect place to keep tissue paper tidy. The key is to use what you have and create a dedicated area where ALL your gift wrapping can live. If there’s room, try to store your gifts-to-give in the same area. 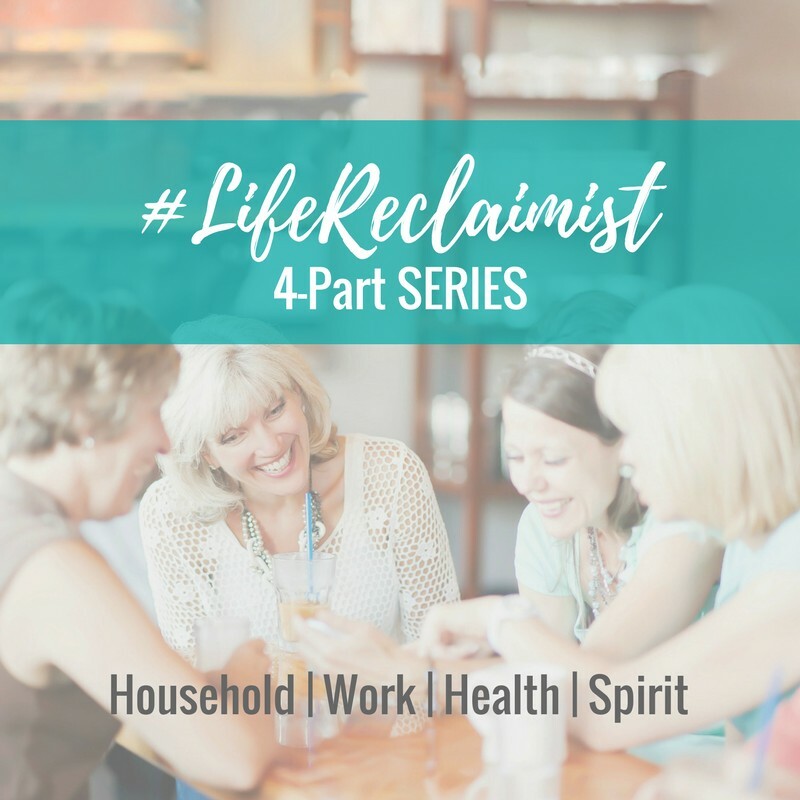 Some folks like to have their wrap out on a counter, some like it tucked away. It all depends on how often you give gifts. We hope these ideas have sparked your imagination for what’s possible for your own home! 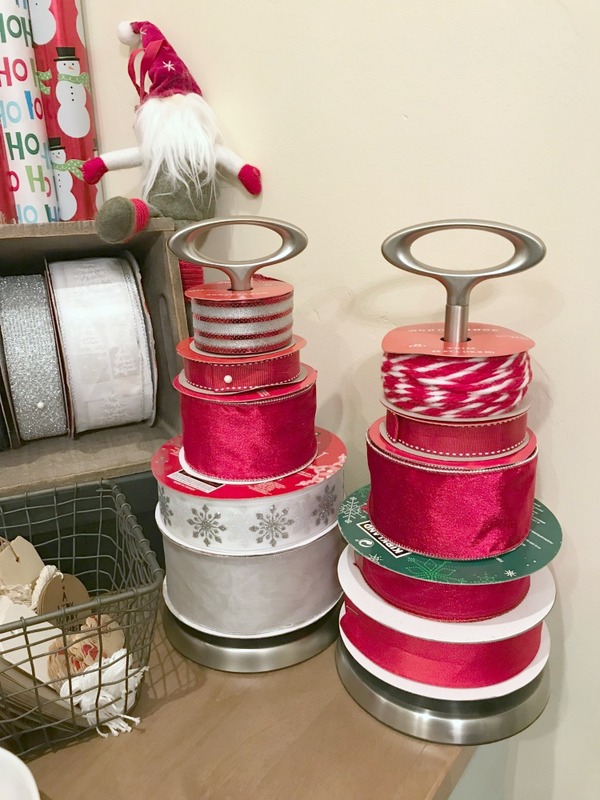 As with any project, gift wrapping stations must be customized to your own home and needs. We’d love to hear your favorite hacks in the comments! 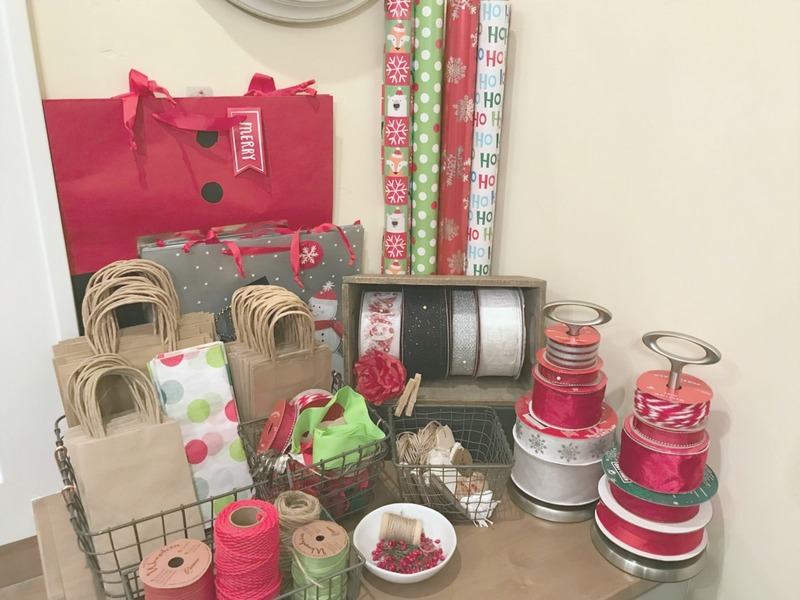 Get hands on help with creating a gift wrapping station in your own home. 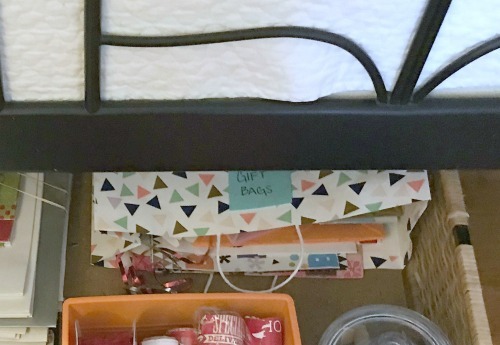 Create a Gift Wrapping Station as an energizing summer organizing project!